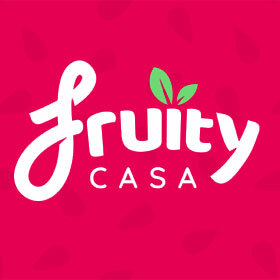 We were intrigued to find out that Deco Diamonds was now available to play on Fruity Casa. This is a luxury-themed classic casino slot with some big jackpots to play for. This game has been developed by the relatively unknown Just for the Win. This slot developer isn’t as prolific as others such as Microgaming or NetEnt so we were intrigued to see what it was like. This is a luxury-themed classic casino slot with some big jackpots to play for. 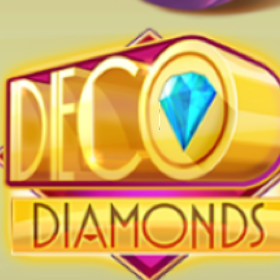 Our Deco Diamonds review has all the key info so read it first and then you can play. This game looks the part but it is fantastically simple in terms of its structure. Players can enjoy spinning the 5 reels and uncovering the 9 paylines. It is actually a great choice for novice slot players due to its simple structure. As always, there is a demo mode available if you choose to play on the Fruity Casa casino. Players can gamble from 10p all the way up to £50. Furthermore, there is a 1000X jackpot available within the base game as well. Deco Diamonds is a bit of a hybrid slot with a luxury theme but still plenty of classic casinos symbols to keep your eyes peeled for. All of the symbols are detailed with 3D graphics and the background of the game is a super deep red colour pallet. The controls are located around the base of the reels and players can enjoy some classic symbols such as melons, lemons, cherries, bells and 7s. The soundtrack is nice enough and the game is available on both desktop and mobile devices on Fruity Casa as well. The gameplay is pretty solid and you can look out for the wild symbol which is the Deco Diamonds logo. This symbol will substitute for all others and it will help increase your chances of picking up some winning combos. It is also the key to the main bonus feature which is the Deco Diamonds Bonus. There are actually 2 parts to this feature with the 1st begin activated by landing 2, 3 or 4 of the wild symbols that we just mentioned. You will now receive a full respin and those wilds will lock in place increasing your chances of a big win. However, if you can land 3, 4 or 5 of the Deco Diamonds then you will also be in for a spin of the Bonus Wheel! 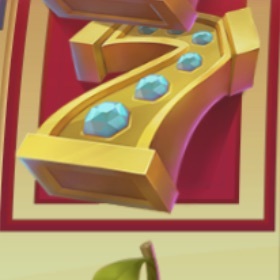 The number of bonus symbols that you land will determine the win potential. The biggest spins are silver (up to 80X multiplier), gold (u to 588X multiplier) and even diamond which will offer a maximum multiplier of 1000X! As you can see, this feature really does present the opportunity to win fantastic jackpots. That’s it for bonuses on Deco Diamonds and we love the simplicity of this game so check it out if you want to play!